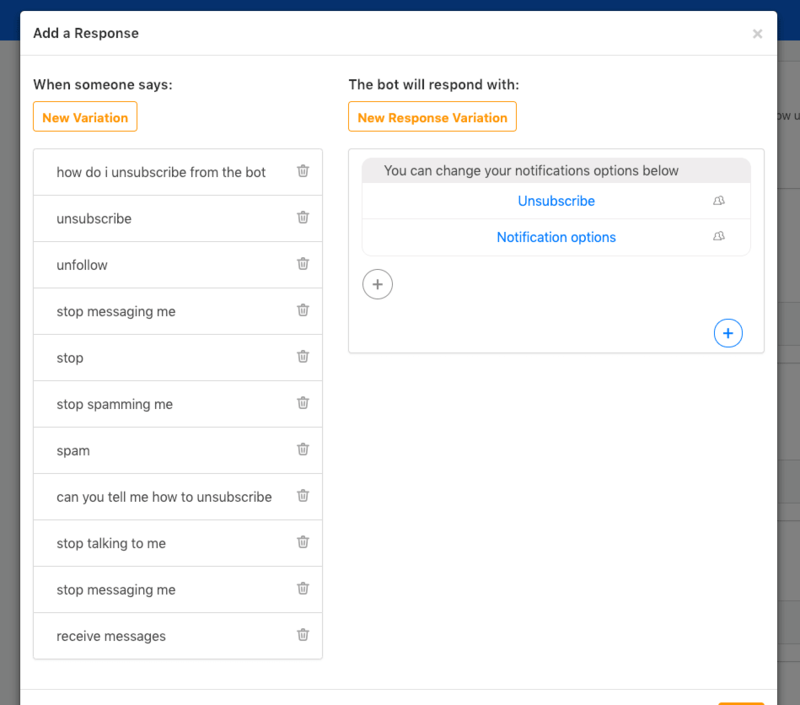 Use Smart responses and AI feature to help your customers Unsubscribe easily. 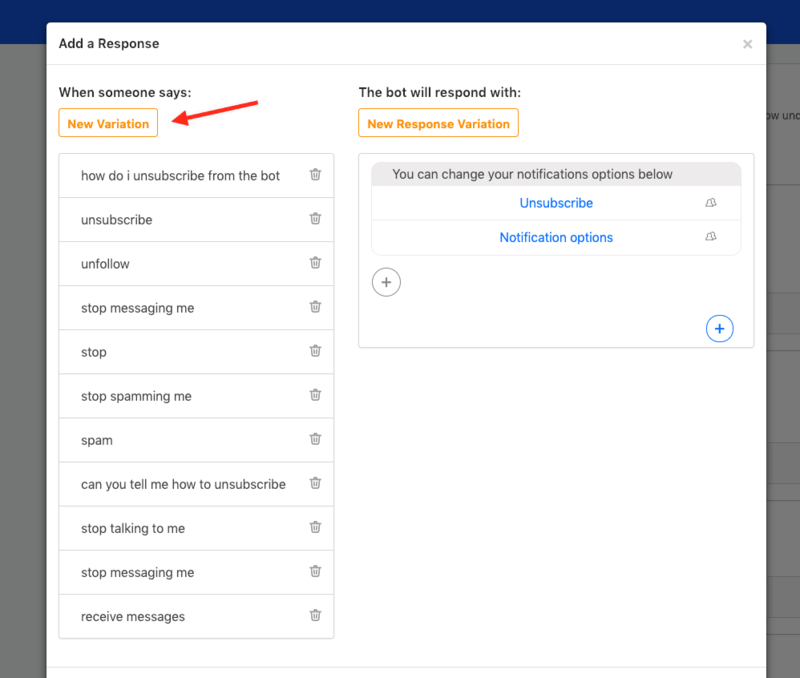 At the top of Smart Responses you will see an option to add an Unsubscribe option. 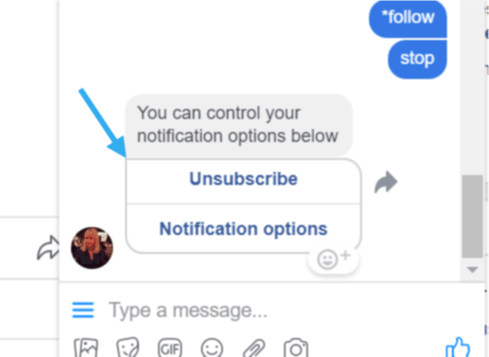 All you have to do is click on the "Approve" button and every time someone types in any of the messages that are added here bot will offer them to unsubscribe. 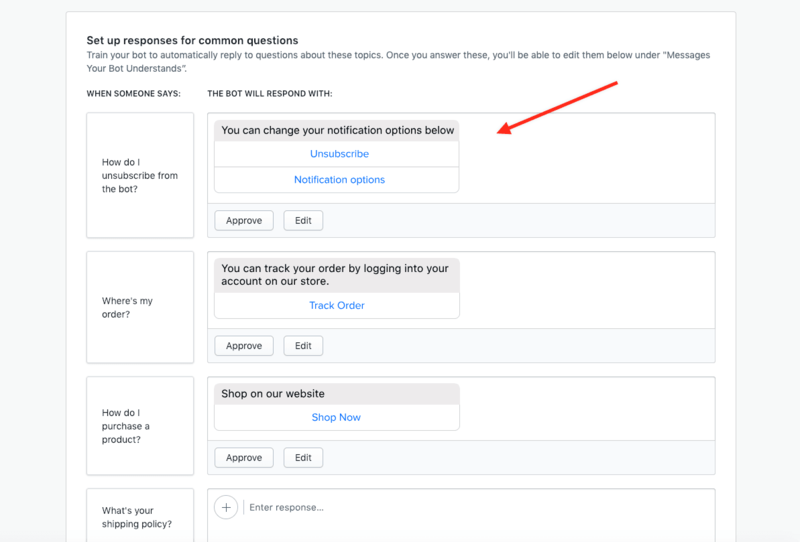 We also have "Opt-out" option separately that you can add to any button or quick reply and it allows the user to unsubscribe in one click. This is really useful to setup when users are asking to be unsubscribed. It will opt them out from following the bot and from AC messages/purchase messages if clicked.